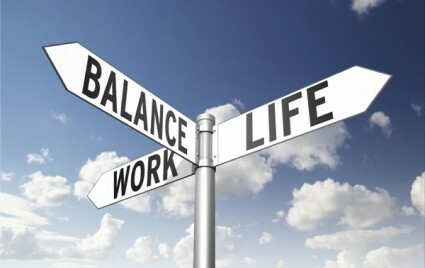 The sad news: work-life balance is likely illusive. The good news: seeds for improvement are ready for sprouting as you interact with others and the environment. Some seeds suggested here include fresh thinking and a variety of choices. What makes work-life balance as worthwhile and valuable as it’s made out to be? While a worthy goal, having such balance might mean life is controllable, predictable, and maybe boring. Even finding it for a while will not expand your time. Your more viable bet is to focus on what’s an appropriate proportion for choosing professional and personal activities. To the degree your influence permits, start with what’s possible and important to you, where your intuition and power lie. Do Less. One way to make good choices is to avoid being sucked into doing more, being more, helping more, getting more. Since these reactions have no boundaries, how would you know what’s enough? Instead, keep in mind that quiet, modest experiences can be just as meaningful and valuable as the “big bangs.” Keys to creativity and productivity are as accessible as taking a short walk (see this PDF). In fact, along with dozens of related studies, Northwestern University management professor, J. Keith Murnighan, says doing less leads to getting more done — and better. Other research shows the danger of distractions and multi-tasking. Shift Focus to Your Quality of Life: Now, I’m not going to bore you with advice about setting priorities. You know their value and viability already. Instead, use ways to improve the quality of your life by using and adapting what makes sense to you below. About what proportion of time are you reacting, what proportion being proactive or moving toward something you want? Suggestion: As possible, move increasingly toward proactive choices. What gets your attention: the immediate short-term, longer-term, or some appealing combinations of the two? Suggestion: Do a practical project at work or home that brings satisfaction and appreciation from others and also relates to your longer-term goals. Use two-for-one actions for saving time. Suggestions: Do exercise or learn a skill with a friend or colleague, do healthy activities where you’ll meet interesting people, and find the sweet spot where play and work meet by collaborating with someone who’s fun and creative. Commit to building trust in worthwhile situations. That will be a catalyst for relieving stress while also encouraging enjoyment in relationships and efficiency in outcomes. Part 2 of this series will be posted next week.